Sunday 30th August 1914 (Luton): Both soldiers and civilians gathered at Wardown Park this afternoon to listen to the band. After the concert there was some excitement when a small boy fell into the lake and had to be pulled out by the Territorials. When the soldiers removed his wet clothes they realised he was wearing little more than rags and dressed him in one of their coats, much to his delight. Later in the evening there was pandemonium when a group of soldiers were seen chasing two men wearing civilian clothes. Everyone naturally assumed the men must be German spies. 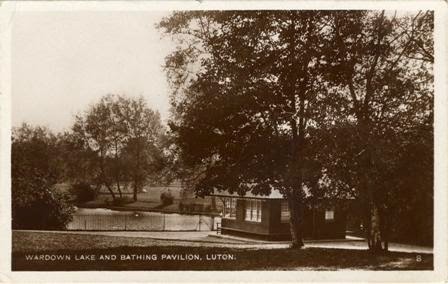 It turned out however that they were just local Luton men who had been giving out cigarettes to the Territorials. The soldiers had heard stories of a man travelling the country giving drugged cigarettes to troops so had became suspicious. After the men were identified they had to be sent out of the park by a back way to avoid the crowd.